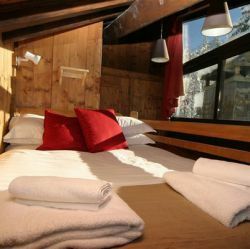 Chalet Les Grands Sorbiers is a fabulous and quirky chalet with stunning views over the Meribel Valley. 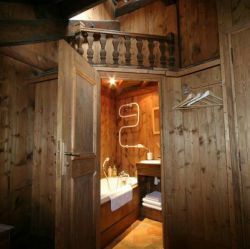 There are plenty of secret nooks and crannies making it a really interesting place to stay. 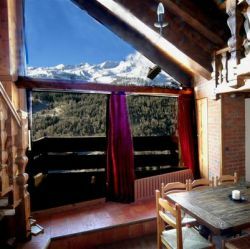 The wooden beams, wood-panelled walls, ladders and balconies give the feeling of staying in an alpine tree-house, looking out over the world below. 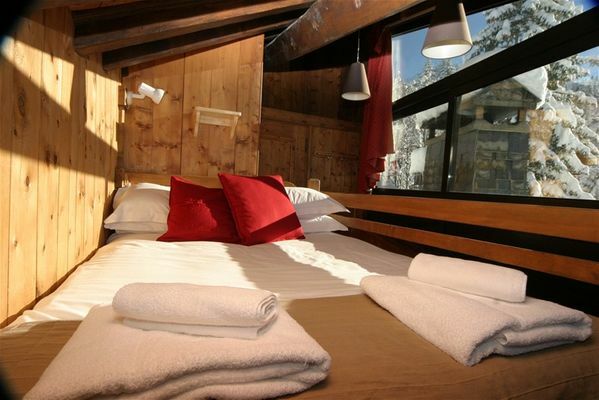 The chalet is arranged on 5 separate levels, with 3 bedrooms, and 3 bathrooms. It sleeps 6 or 7 people, but can squeeze in up to 9, so ideal for one or two families, or a group of friends. The apartment is on the top-floor of a 14 apartment building. Because the front door is also at the top of the building, you only have one flight of stairs to go down. 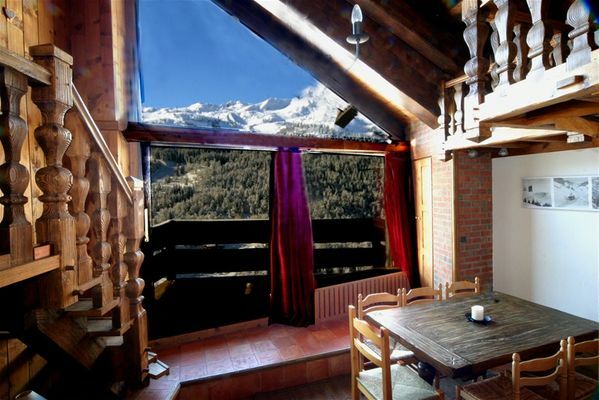 Once inside, you feel like you’re in your own chalet. The open-plan dining room and kitchen can comfortably seat 6. A large patio door leads onto the balcony that has fabulous views. 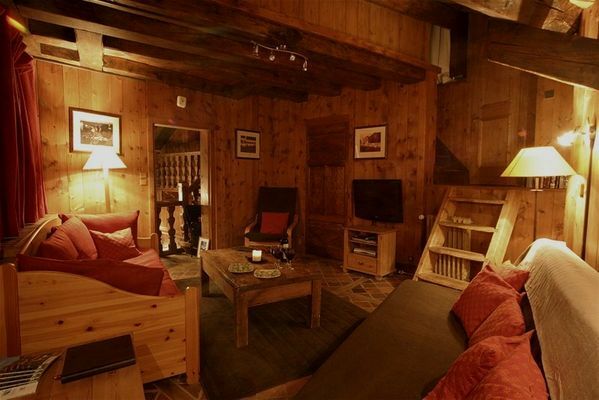 The cosy living room is perfect for relaxing in after a good day on the slopes. There is a TV with Freeview and a choice of DVD's to watch if you fancy a movie. There is an IPod dock so you can play your tunes. For larger groups of 8 or 9 people, the living room is furnished with a single sofa bed, and has room for a camp-bed. 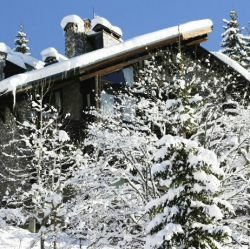 The chalet has Wi-fi internet access so you can keep in touch. 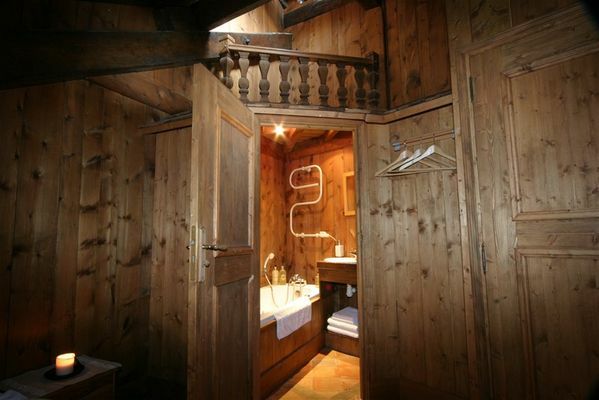 There’s a ski and boot locker, washing machine, hair dryer in each room, and all mod-cons in the kitchen. 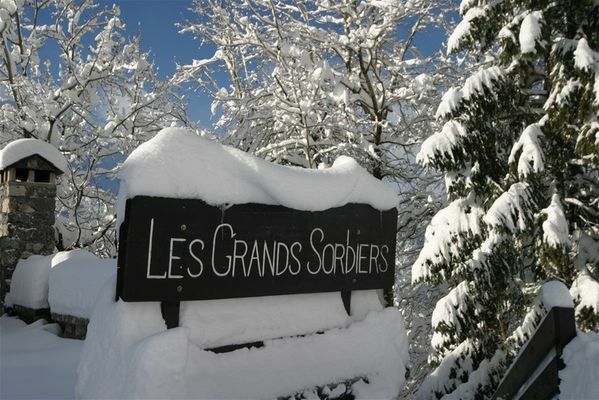 Les Grands Sorbiers is a no smoking chalet, although you can smoke on the balcony. 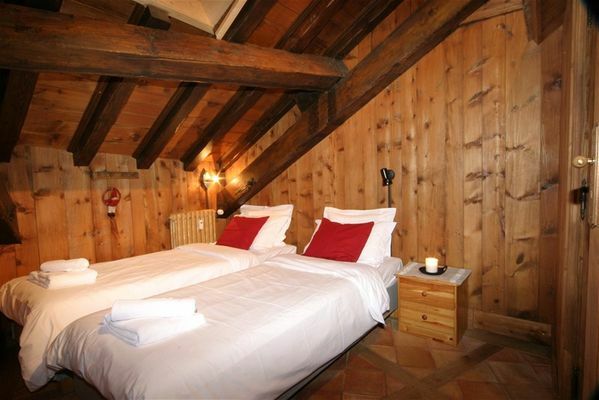 The chalet is made up of 5 separate levels, with 3 bedrooms, and 3 bathrooms. It sleeps 6 or 7 people, but can squeeze in up to 9, so is ideal for one or two families or a group of friends. The apartment is on the top-floor of a 14 apartment building. Because the front door is also at the top of the building there is just one flight of stairs to go down. 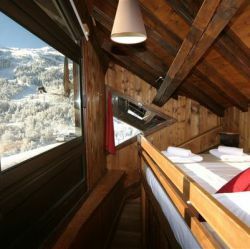 Once inside, you feel like you’re in your own chalet. Bedroom 1. 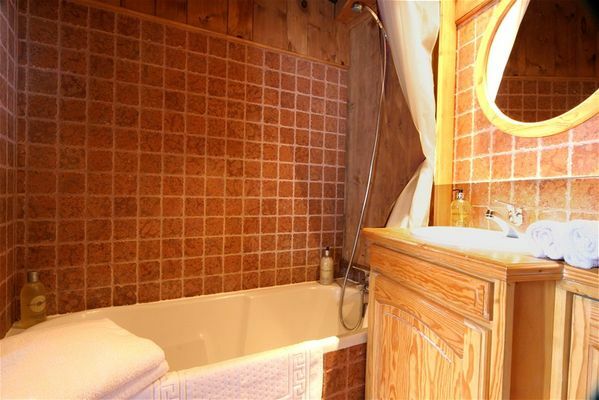 Double/twin bedroom with en-suite Jacuzzi bathroom. Bedroom 1 has a sloping ceiling with a skylight. 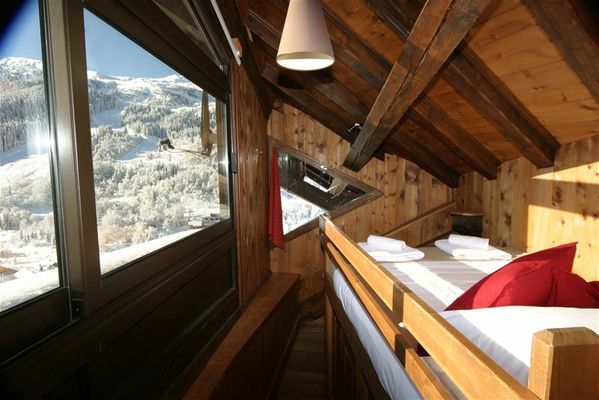 Bedroom 2 is the small room with the big view – it has a stunning window looking up the valley. The bed is raised for fully appreciating the view. If you sleep with the curtains open, on a clear night, you’ll be lying under the stars, and wake up looking at the sun rising over the mountains. Gorgeous! Bedroom 2 is a small double, with a cupboard area for your clothes under the raised bed. This room has its own shower room (shower & toilet) just next door. 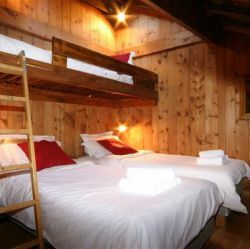 Bedroom 3 is a double or twin room / bunk room – which sleeps up to 3 people. 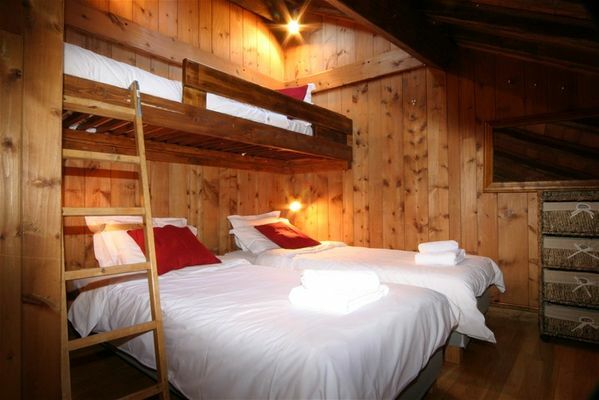 The top bunk is suitable for adults or older children, and you can lie and watch the stars (or close the blinds!). The two twin beds can be pushed together with a double mattress placed on top. So in Bedroom 3 you can have a couple and child on the bunk, or up to three single people. Bedroom 3 has a sloping ceiling, and a door with low headroom – prepare to duck as you go into or out of the room. 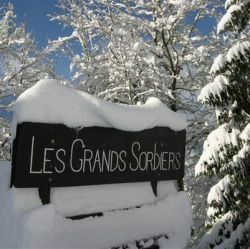 Les Grands Sorbiers is located in the Renarde district of Meribel. 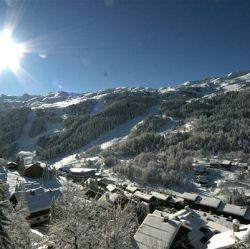 This is located just above the resort centre and is only 4 minutes walk along Route de la Renarde to the nearest slope. It will take just a minute to ski down to the main lifts at La Chaudanne. (This run is blue, so not suitable for total beginners on their first or second day). 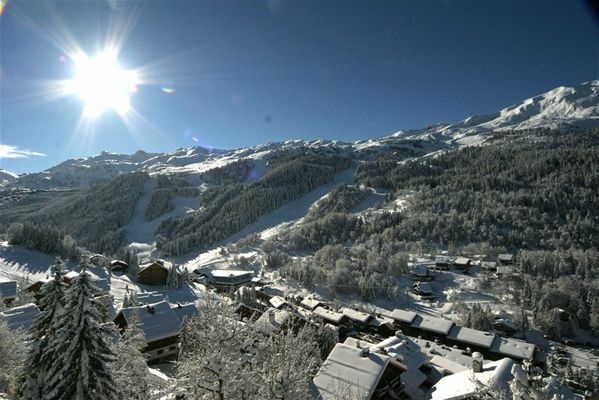 From La Chaudanne you can easily access the whole of the 3 Valleys. 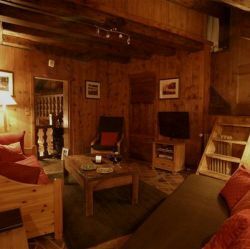 The chalet private minibus is available to guests of Les Grands Sorbiers on 4 afternoons to pick you up at the end of skiing, and also to run you into town if you wanted a drink in the evening, or to take you to dinner on your chalet host’s night off. All linen - beds made for your arrival. 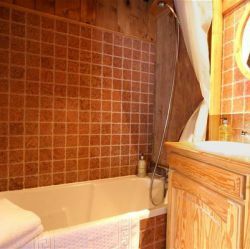 All towels - one bath and hand towel per guest. Basic supplies - tea bags, salt, sugar, hand soap, shower gel. 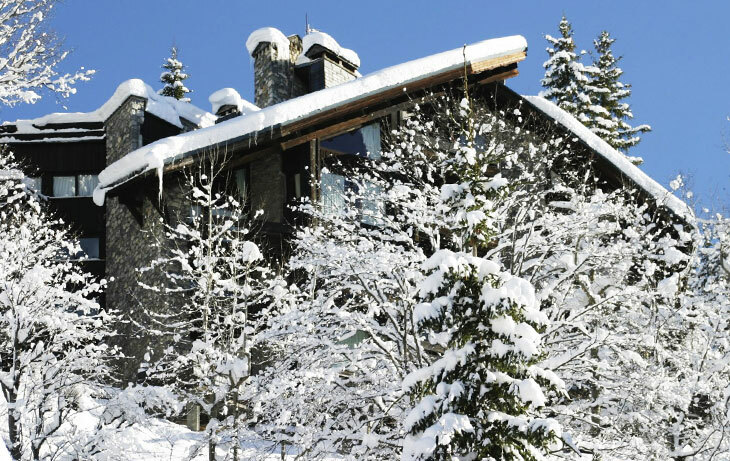 If a 4 minute walk to the slopes is too much, the chalet mini bus can pick guests up but only once it’s dropped off Le Marmotton guests – that chalet is further away, which means guests have priority. Or if you have a ski school class to get to, we could pick you up early before Le Marmotton guests, but the easiest thing is to walk 4 minutes and ski down to the ski school meeting point. On four evenings the bus can also pick guests up from the slopes, and/or take you into town in the evening if you wanted an after-dinner drink, or for dinner on the staff night off. 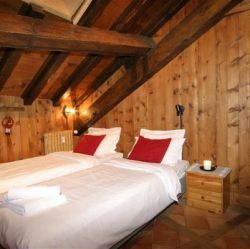 Price are per chalet per week on a catered chalet basis. Prices based on sole use of the chalet.